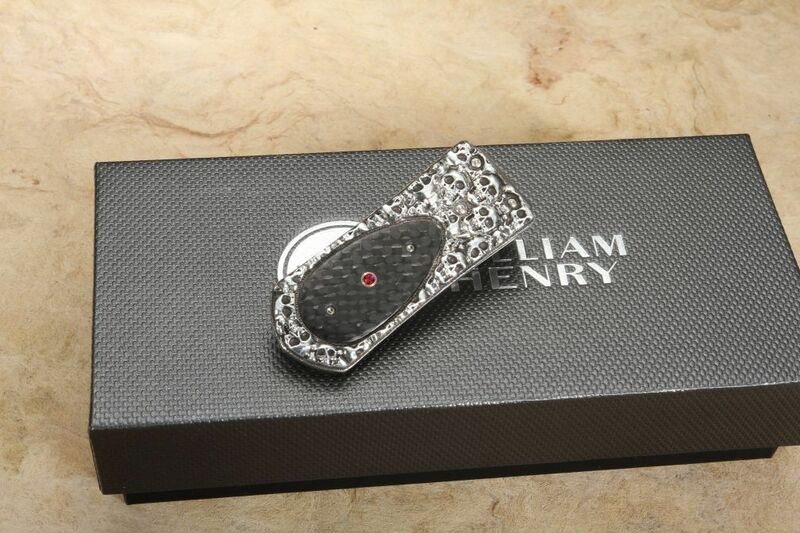 This attractive money clip comes packaged in a presentation William Henry box with a certificate of authenticity. 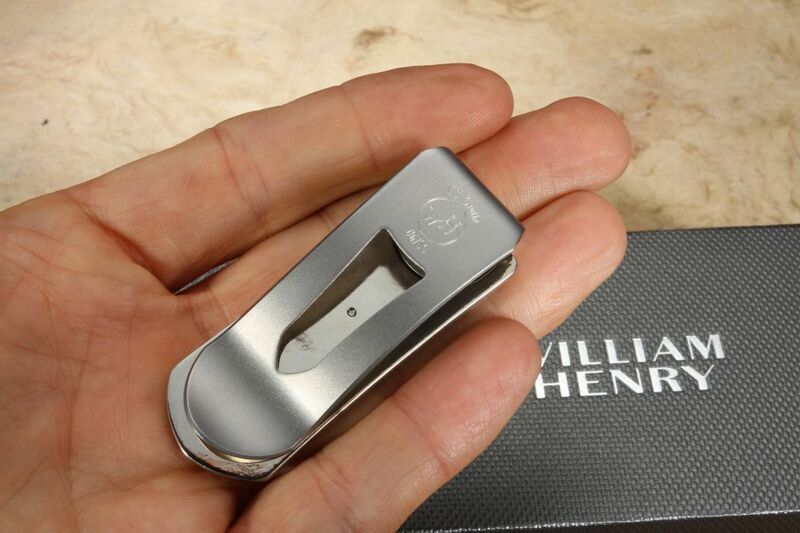 This money clip is a limited edition of 50 individually numbered knives. William Henry Studio has ventured into money clips and they have hit a home run. William Henry combines the finest materials and workmanship into an everyday carry (edc) accessory that any man will enjoy. The hand-carved sterling silver body is in a skull motif. The carbon fiber inlay is light, strong and upscale. 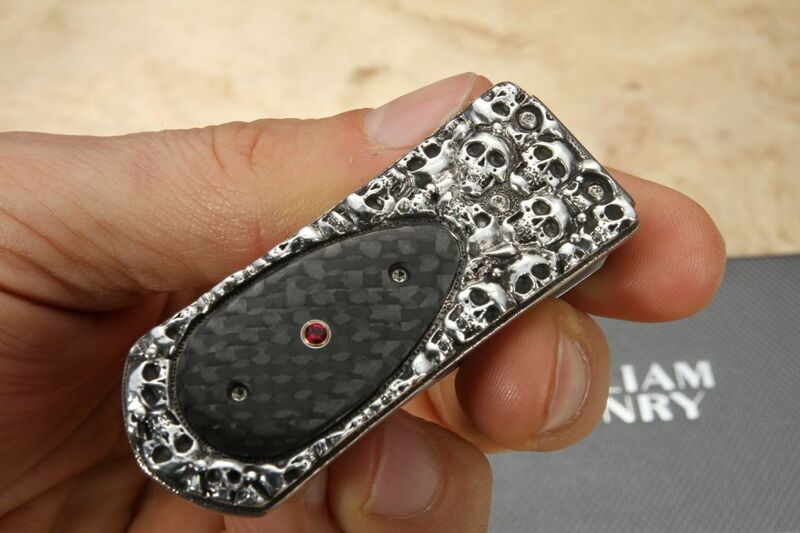 Corundum ruby inlay in the carbon fiber with a gold setting. Perfect as a gift item or every day carry item. 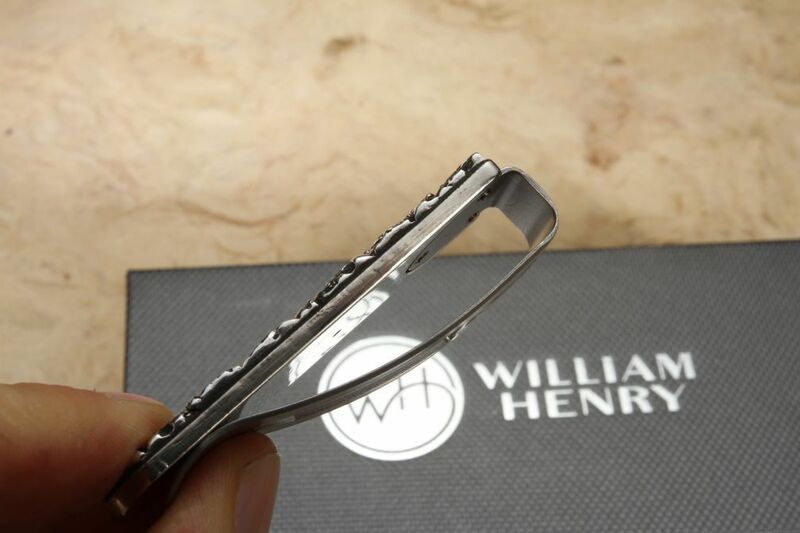 Combine the money clip with one of the William Henry Knives or William Henry Pens.